everything was going well. enjoy it very much. nice view . The Grampians is truly a magical place, with canyons, bush land and waterfalls. You'll start off your day touring Ballarat, which is a famous historic site during the gold rush, here you'll also learn about the Eureka Rebellion and its importance in Australian history. 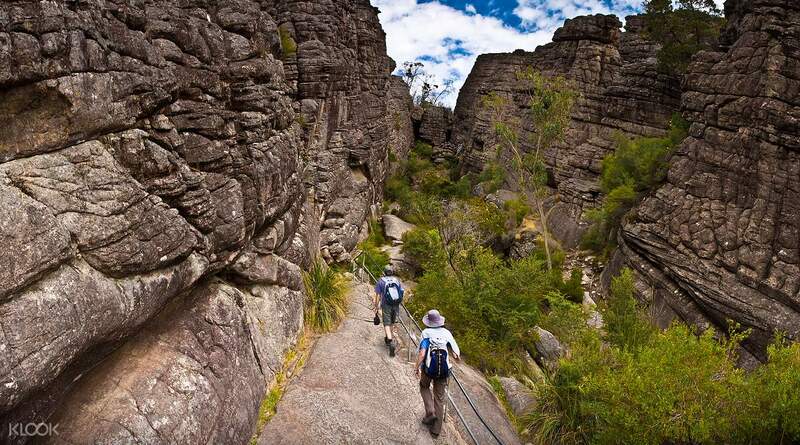 The next stop is a short stroll in the Grampians Range where you'll reach Silverband Falls. 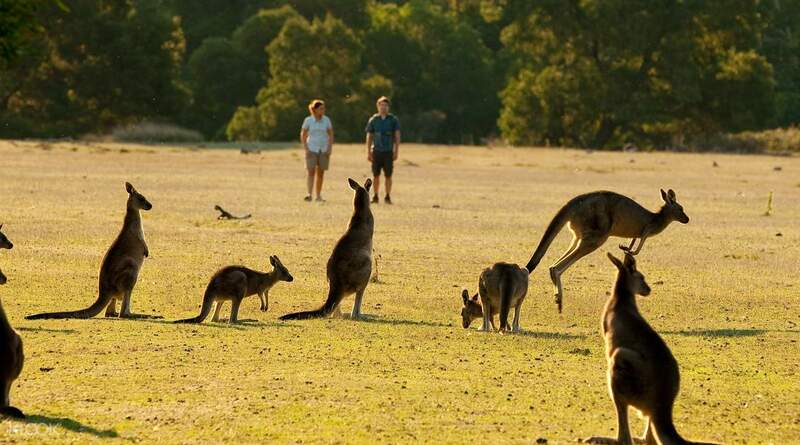 Make sure to keep an eye out for local kangaroos who frequently visit the town on your way to lunch at Halls Gap. 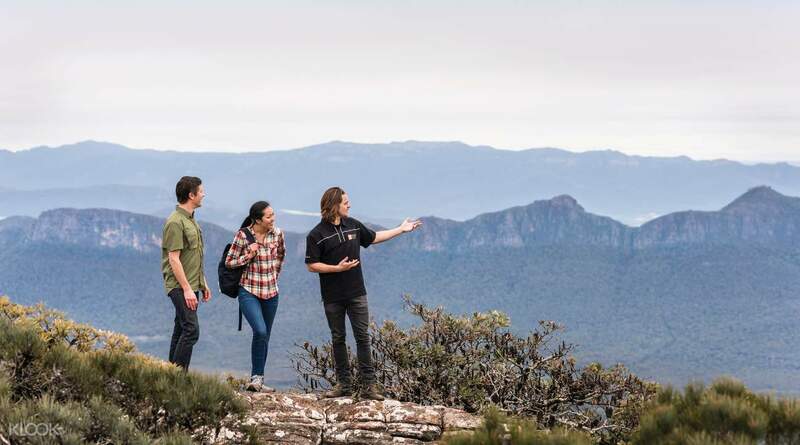 The best is saved for last as you hike towards the Grand Canyon, the vast open space, rising rock walls and unique geology provide a stunning panorama over Victoria Valley and Stringybark Forest.This jam-packed day will leave you awe-inspired and with lasting memories. Well planned but the only thing we couldn't control was the weather. Hats off to the tour guide, Paul G, for making it a memorable trip. His vast music playlist was amazing and was suitable for all occasions. Well planned but the only thing we couldn't control was the weather. Hats off to the tour guide, Paul G, for making it a memorable trip. His vast music playlist was amazing and was suitable for all occasions. Awesome tour conducted by Go West Tours! !👍🏻👍🏻 The pickup and transfer was a breeze and our tour guide was friendly and he provided alot of information about the places we stopped by:) The hike was relatively tiring, however, the view at the top of the cliff made the climb worth it! Scenery was beautiful:) All in all, it was a smooth journey and everything was well taken care of. Awesome tour conducted by Go West Tours! !👍🏻👍🏻 The pickup and transfer was a breeze and our tour guide was friendly and he provided alot of information about the places we stopped by:) The hike was relatively tiring, however, the view at the top of the cliff made the climb worth it! Scenery was beautiful:) All in all, it was a smooth journey and everything was well taken care of. This is by Go West Tours, with about 15 pax on a minibus. Our guide, Leo, was knowledgeable and so humorous that we had many good laughs on the trip. We visited all the places stated in the itinerary. Leo guided us through the Grand Canyon which was so awesome (some legs strength required). 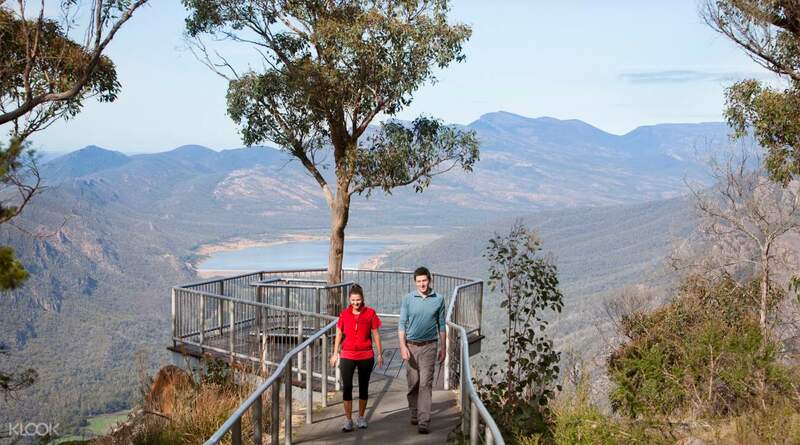 This is the only tour that covers BOTH Silverband and Mackenzie Falls, Reeds and Boroka Lookout and Grand Canyon. The other tours I found only covered either waterfall and none covers Grand Canyon. Go with this tour - you will have no regrets. Morning Tea and Lunch included - piping hot pie, fruit, dessert and fruit juice - we sat in the park at Halls Gap for lunch and even saw a group of kangaroos! (one feedback is the pies were difficult to eat from the paper packaging which was soaked with oil. Will be great if it came in a box with utensils provided). For dinner, Leo stopped us at Ararat for a quick bite before heading back to city. This is by Go West Tours, with about 15 pax on a minibus. Our guide, Leo, was knowledgeable and so humorous that we had many good laughs on the trip. We visited all the places stated in the itinerary. Leo guided us through the Grand Canyon which was so awesome (some legs strength required). This is the only tour that covers BOTH Silverband and Mackenzie Falls, Reeds and Boroka Lookout and Grand Canyon. The other tours I found only covered either waterfall and none covers Grand Canyon. Go with this tour - you will have no regrets. Morning Tea and Lunch included - piping hot pie, fruit, dessert and fruit juice - we sat in the park at Halls Gap for lunch and even saw a group of kangaroos! (one feedback is the pies were difficult to eat from the paper packaging which was soaked with oil. Will be great if it came in a box with utensils provided). For dinner, Leo stopped us at Ararat for a quick bite before heading back to city. It is simply awesome, the weather was good and the scenery was amazing. The guide bec was friendly and funny, thumbs up to go west team. It is just a pity that the schedule was quite tight, it would be good if we can have a longer time. It is simply awesome, the weather was good and the scenery was amazing. The guide bec was friendly and funny, thumbs up to go west team. It is just a pity that the schedule was quite tight, it would be good if we can have a longer time. Love this! My 2nd time with GoWest, the tour operator and I must say they never disappoint. I've been to Melbourne 4 times and I must say the Grampians is a highlight. Requires a fair bit of stamina to climb the mountain and down the waterfall but so worth it. Love this! My 2nd time with GoWest, the tour operator and I must say they never disappoint. I've been to Melbourne 4 times and I must say the Grampians is a highlight. Requires a fair bit of stamina to climb the mountain and down the waterfall but so worth it. By Go West Tours - our guide, Leo, was so entertaining and informative! This is the only tour that covers grand canyon walk, 2 waterfalls and 2 lookouts. The hikes can be quite taxing though, as a result we did not go down to the base of MacKenzie Falls (a pity!). Morning tea and lunch were great! Leo stopped us for dinner before driving us back to our hotels. Awesome tour! By Go West Tours - our guide, Leo, was so entertaining and informative! This is the only tour that covers grand canyon walk, 2 waterfalls and 2 lookouts. The hikes can be quite taxing though, as a result we did not go down to the base of MacKenzie Falls (a pity!). Morning tea and lunch were great! Leo stopped us for dinner before driving us back to our hotels. Awesome tour! One of the best tour we ever had in our Melb trip! Shoutout to our guide, Phil for the great day trip experience. He was very friendly, knowledgeable and definitely one of the best guide ever. He would make an effort to speak to everyone and do his best to keep us interested throughout the day. One of the best tour we ever had in our Melb trip! Shoutout to our guide, Phil for the great day trip experience. He was very friendly, knowledgeable and definitely one of the best guide ever. He would make an effort to speak to everyone and do his best to keep us interested throughout the day. Our guide was good, he knew his stuff and is able to engage us with the knowledge that he has for the tour. Looking at the geographical structures of Grampians, really will blow your mind off! Absolutely perfect! Our guide was good, he knew his stuff and is able to engage us with the knowledge that he has for the tour. 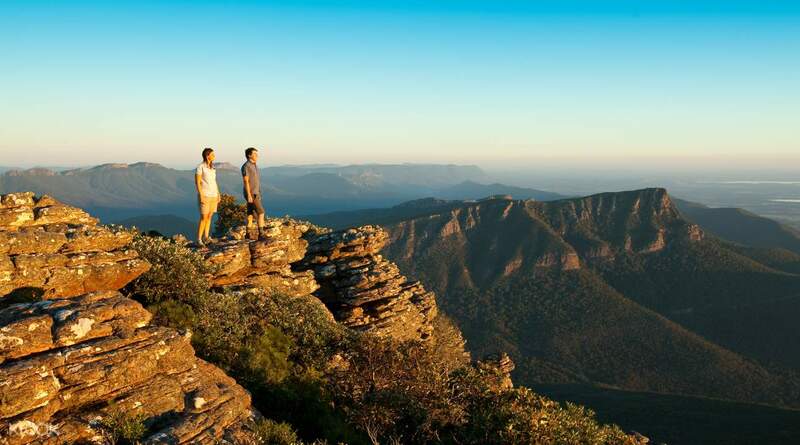 Looking at the geographical structures of Grampians, really will blow your mind off! Absolutely perfect!